Stays in spas have provided the inspiration for many homeowners to re-create that awesome spa experience right in their own bathrooms. Sometimes just coming home from a stressful day one craves that relaxing spa experience, but may not have the time to go to a spa. 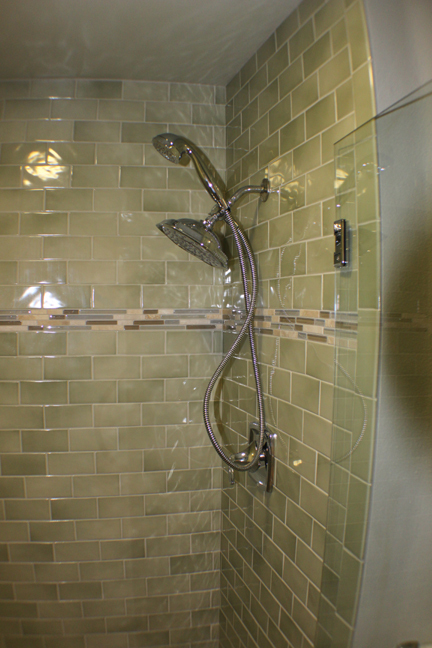 Creating the spa experience at home can start with just replacing a shower head with a rain shower type. One shower head is the Raindance AIR series from Hansgrohe, which is an air injected shower that adds one part air to every two parts water. With this technology it feels like you’re standing in the rain, which is very relaxing! But let’s assume you want more than that. Elegantly shaped, free-standing soaking tubs start the spa experience with a visual treat. Consider the Jason hydrotherapy tub, a free-standing tub with oxygen rich micro-bubbles These clouds of oxygen penetrate deep into your pores for a more thorough cleansing, moisturising experience. They continuously warm your bath water so you don’t have to add more hot water. 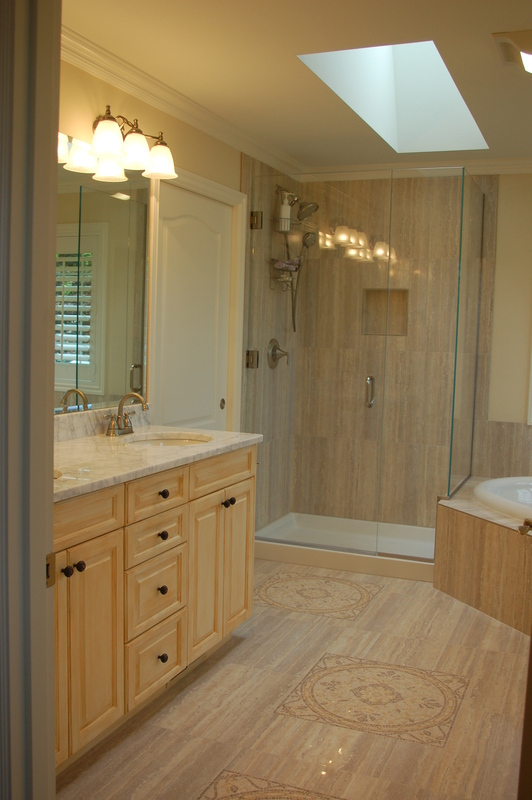 Heated floors add to the luxury feel of a master bath. There is nothing quite like walking into your personal spa with warm tile flooring massaging your feet; heated towels hanging on your towel warming rack with a gentle, suffused lighting system creating a relaxed atmosphere. Aeon, UK, (www.aeon.uk.com) has created sculpted radiators for gentle, consistent heat in your home spa. They will provide an even, consistent heat and are graceful works of ark. We can’t leave out the details; modern and contemporary style baths favor bushed nickel and satin for faucets and if you prefer the old world look, oil rubbed bronze is popular. Slate and natural stone floors have gained in popularity while granite and marble countertops are an ongoing popular choice. 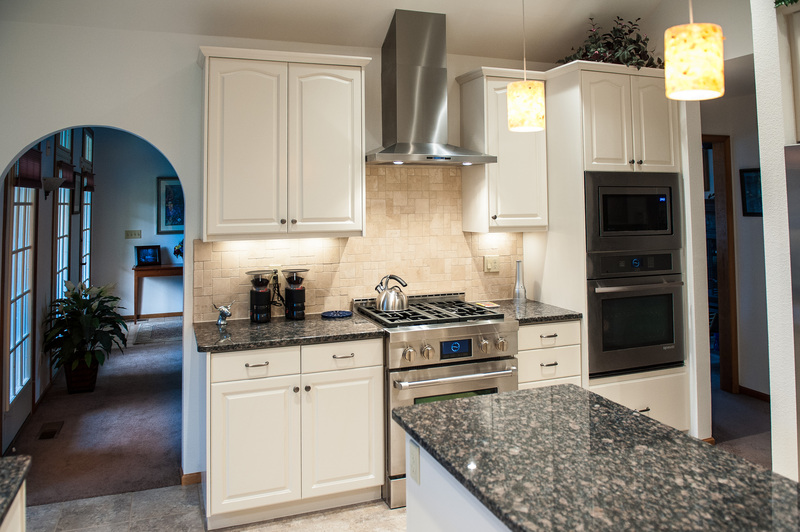 Darker, richer woods such as cherry and maple are selected more often this year for cabinets and armoires. Vessel sinks are becoming the standard for vanities. The greatest push is toward the transformation of the bathroom to a home spa, and the bath is the central component of this design concept. 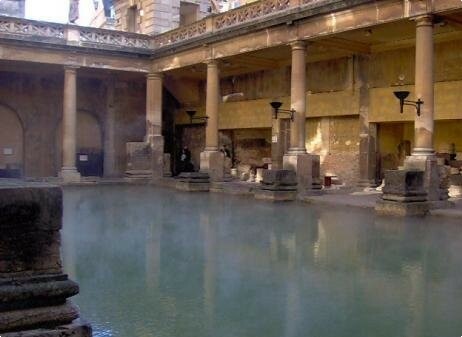 What is your dream home spa? What should I do with my bathroom? Buying a home often means buying someone else’s outdated bathroom. 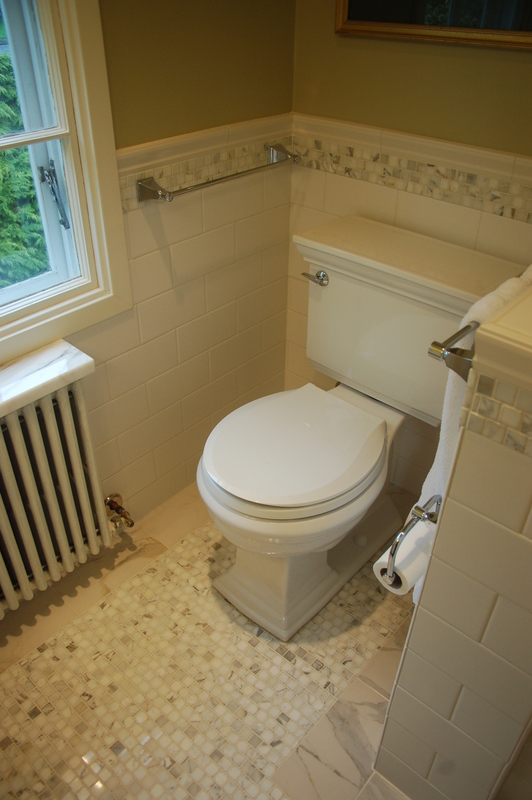 Since the bathroom is so often visited, you may decide to remodel. When exploring design ideas, remember to make the updated bath fit the style of the rest of the house. A good bathroom remodel is considered one of the best enhancements for the value of the home, and is sure to make your daily life more pleasurable. 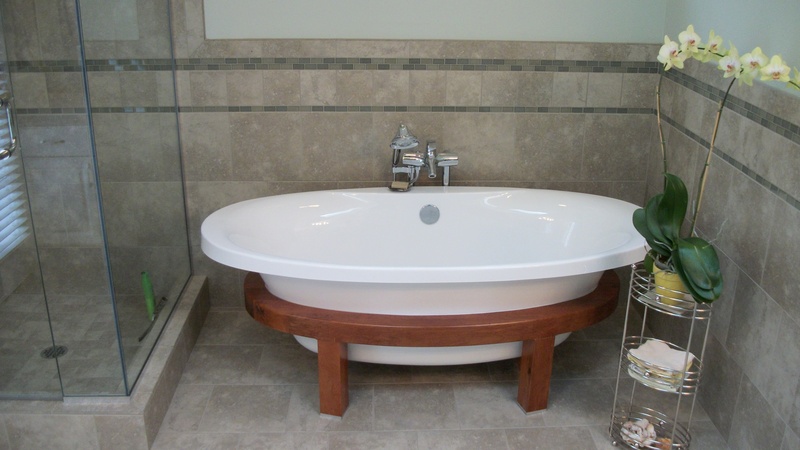 So the basic elements of the bath make-over should suit the age and style of the house. If the house is an older home, such as 1920’s era or Victorian, it would be useful to review the styles of the time and find modern materials that fit in with the age of the original design. 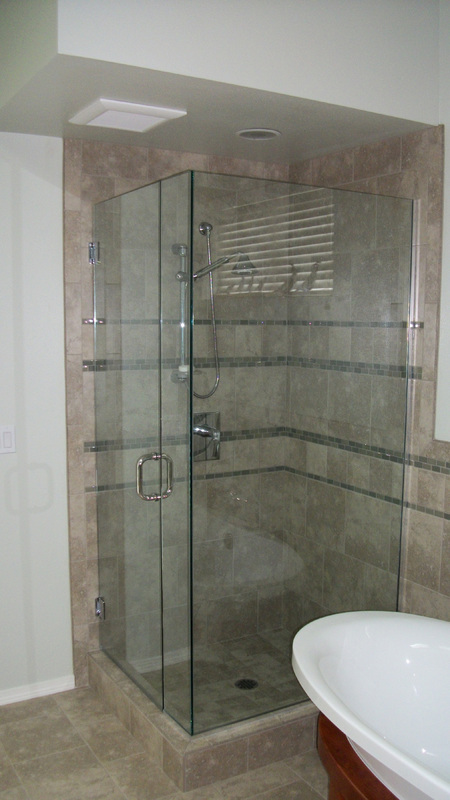 Bathrooms should have a focal point; you can plan for this while designing the remodel. Since plumbing fixtures tend to dominate bathrooms, try to pick one of these as the focal point, such as a dramatic soaking tub or an artistically tiled shower. Put plenty of thought into the bathroom lighting fixtures; you’ll want sufficient lighting, and existing bathrooms often have poor lighting. 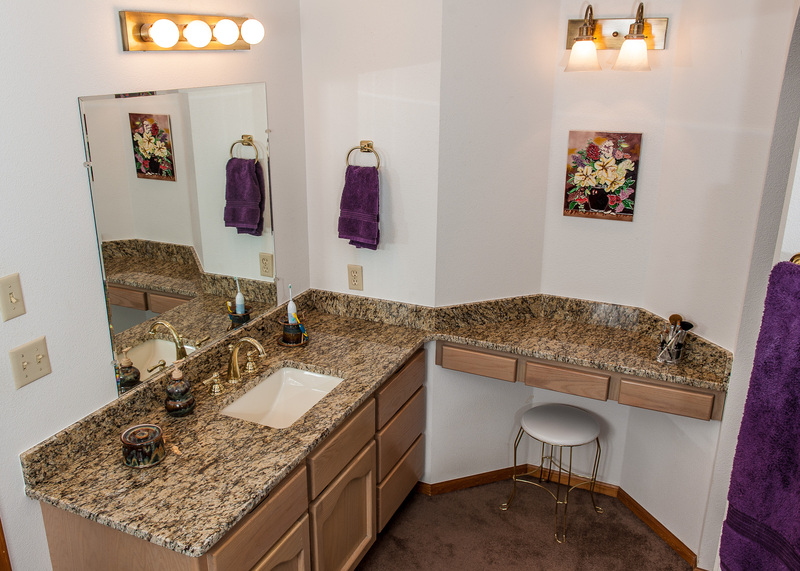 Consider task lighting in strategic locations, such as wall lights on the sides of vanity mirror. What about space? If the room is just too small, consider taking space from a closet or another room next to the bath. It will be worth it in the long run! 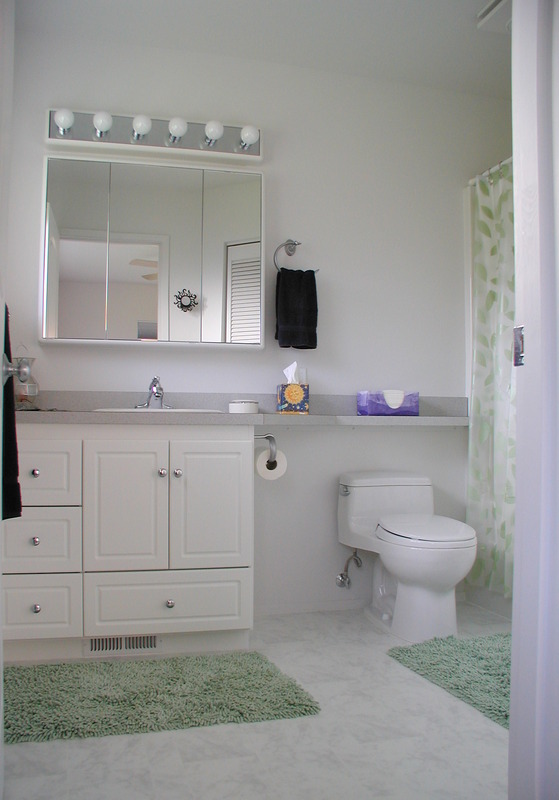 Small bath, with beautiful countertops and faucet; includes vanity. Note the two types of light fixtures. From outhouses to palatial bathrooms; where does your bath fit on the sliding scale of comfort? 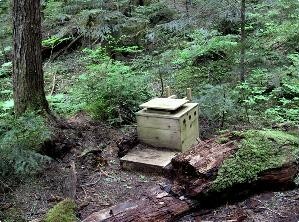 Nice for 5 miles from the trailhead, but you want something more luxurious at home. Well, this is where it all started – after the “doing it in the woods” thing, which I confess, some of us still do when out backpacking the Mount Baker wilderness. This just serves to make us appreciate our indoor plumbing. Or even those pit toilets. Anything . . . really. I’ve used one like this on several trails; they are really pretty comfy, sometimes with spectacular views. You do have to get over the worry that someone may come along and spot you, but then, nothing’s perfect, right? It is easier than using a log. Heater, tiled half-wall, fluffy towels, nice. Now we get to the really cool stuff. 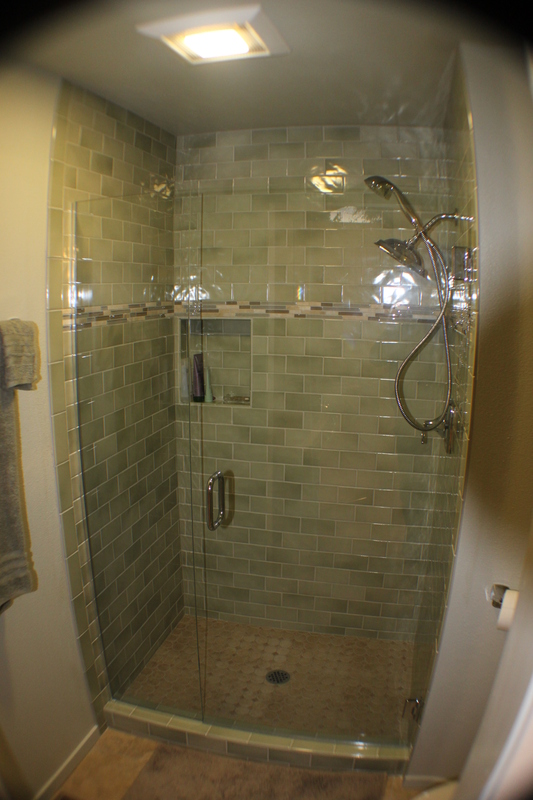 Heated floors, wash sink with hot and cold running water, flush toilet, walls and door. I guess we may be obsessed with our privacy, but what can you do? We are a product of our environment, after all. So, for some really nice indoor plumbing. Note that all of these have a nice, sanitary, and fashionable toilet in each. Do you know what the five qualities of a truly luxurious bathroom are? Check out the rest of the photos, then I will inform you! 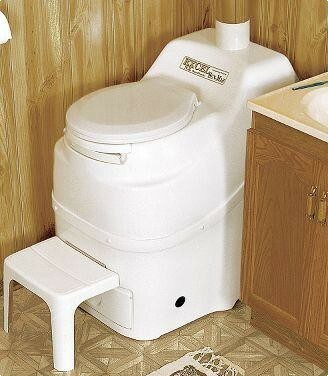 Compact toilet, with half-counter above it. Space: It’s big, really big. You’ll know when it’s big enough to qualify. Light; windows and skylights; the more the better. If you don’t have immediate neighbors, yu can look out on the view, but if that doesn’t work for you, use sheer curtains or tinted windows. Materials: luxurious bathrooms use beautiful, natural materials on floors and walls. Granite, marble, river rock, teak; all luxury, all from nature. Quality lasts forever, and never goes out of style. Texture. Sleek stone floors and plush sheepskin rugs; velvet curtains, heated floors; textures create intimacy. 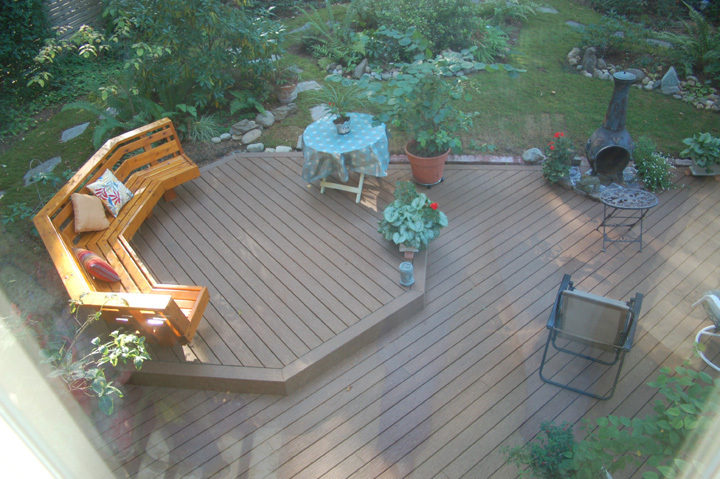 Vary texture with teak or rock mats to contrast with stone floors. Detail: Fireplaces, sofas, large soaking tubs, bronze statues, heated toilet seats – have the details that mean something to you.